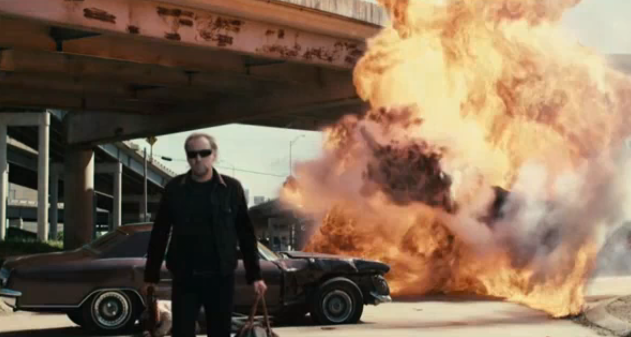 I reviewed Drive Angry over at AfterEllen. Here's the link if you want to know what I thought about it (spoiler: I friggin' loved it). Then AfterEllen said "Instead of solely reviewing Drive Angry, can you also incorporate some fluff about Amber Heard's other roles in horror?" I replied "Yes. Yes, I can." and then I did. Ka-blam! Man, I loved this movie. So much fun. AND IT HAS TOM ATKINS! I KNOW!!! I was so excited. I love that Patrick Lussier is putting Atkins in everything. I love seeing him on the big screen! I loved this movie too, and my review of it was pretty much on the same track as yours. Nic Cage and Amber Heard were both fantastic. Hell, the whole cast was amazing. It was great seeing Billy Burke do something not Twilight.